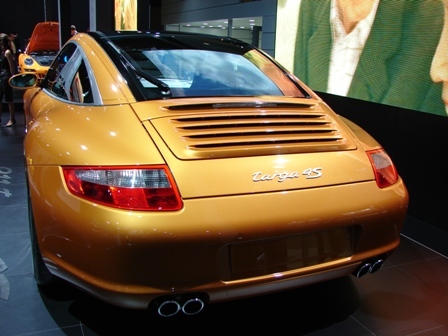 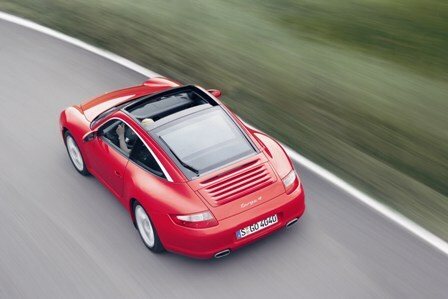 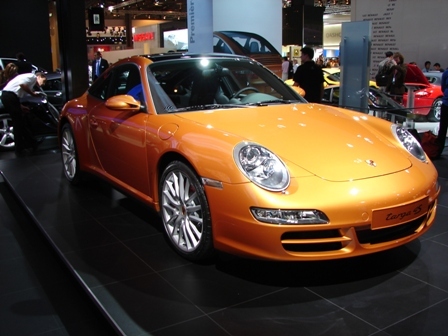 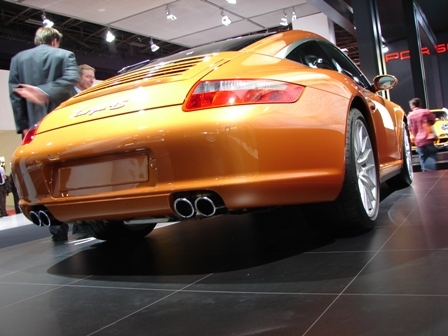 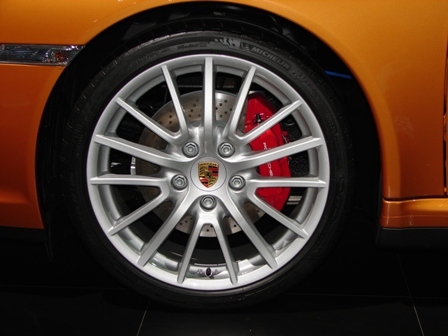 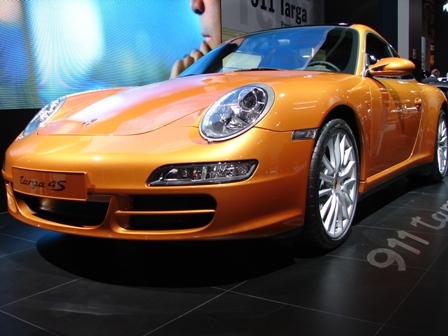 Porsche also debuted its 2007 911 Targa 4 and 4S at the Paris Motor Show, in addition to the superlative 2007 911 GT3 RS. 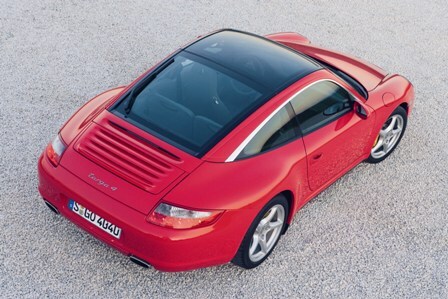 The Targa concept has been around since 1966, and the new Targa 4 and 4S give buyers the option of having the open sky experience of a convertible without loosing the rigidity of a solid roof. 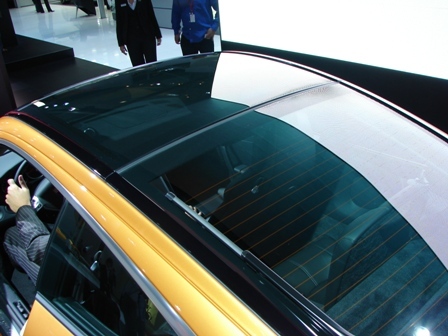 The 4.2 pound glass roof of the Targa 4/4S can be retracted to provide 4.8-square feet of open air. 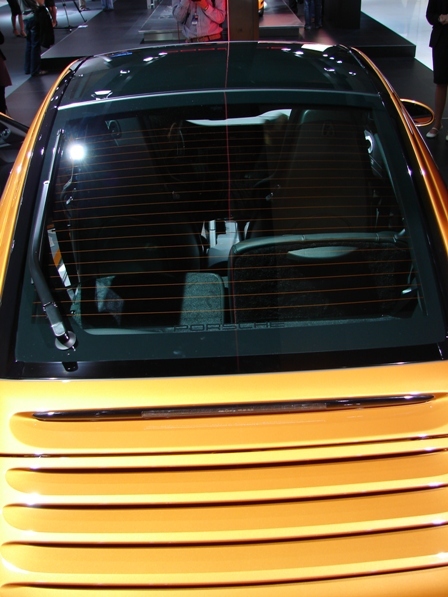 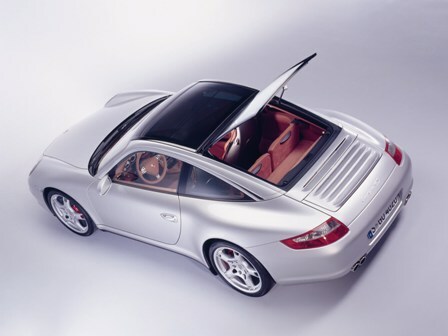 The glass rear hatch compliments the roof by continuing the open-air impression all the way to the rear of the car, and the roof frame is embellished with a polished aluminum strip to hark back to the days of the removable top Targas of the first generation 911. 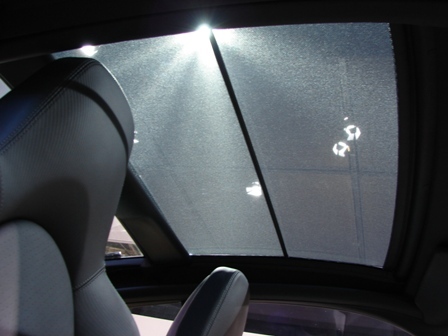 There is also a semi-translucent, black-cloth sunblind to protect the occupants from the sun's death rays. 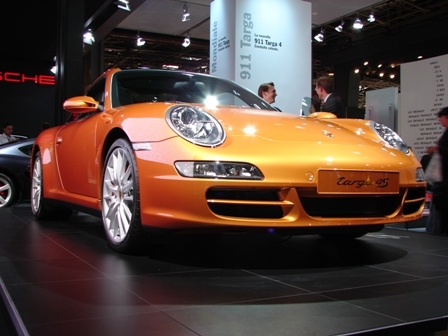 The drivetrain choices are similar to the current 911 hardtop and convertible, so the Targa is an interesting compromise for those who may love the open air motoring but find a hardtop more practical. 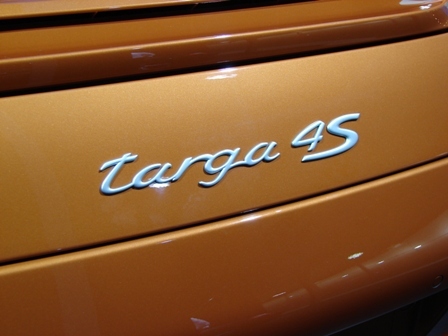 Thanks to Eric again for catching the Targa 4S in the flesh, so to speak.